Replay Review Decisions: 500 (6/7/17). 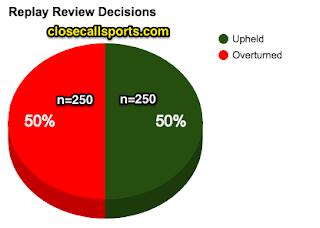 All except #216 and #396 were Out/Safe replays. #216 was a Foul Tip/HBP play. #396 was a HBP/No HBP play. 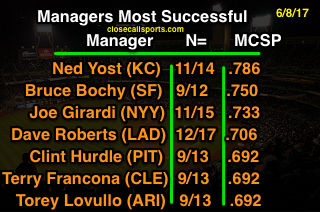 *Minimum number of Replay Reviews to qualify for the leaderboard was n=3. 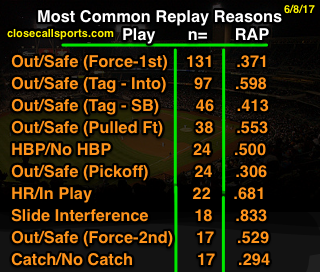 Other "Perfect Replay" Umpires under the minimum included Dale Scott, Chad Fairchild, and Ryan Blakney (all n=2), and Ramon De Jesus (n=1).